To make this drawing, Hooke used a 30-foot long telescope and observed just before first quarter, when the shadows were strong. 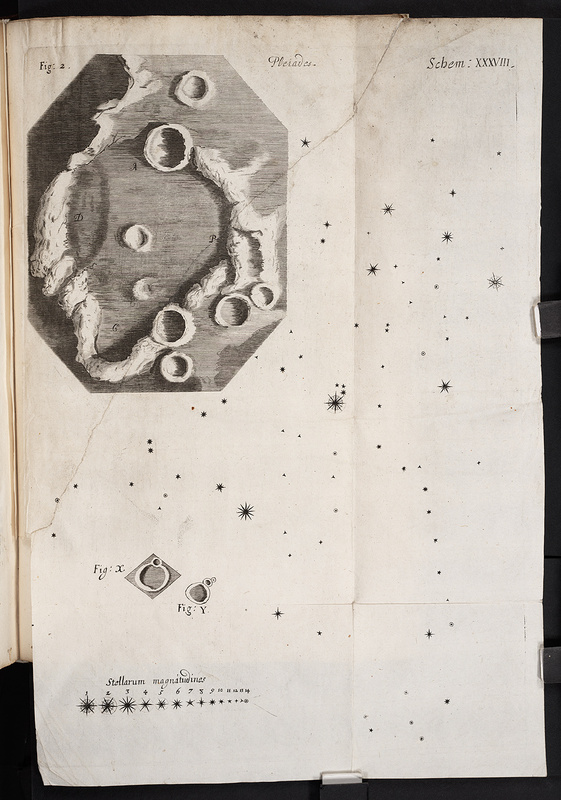 His drawing can be favorably compared with those of later observers (see items 13 and 15) and is a considerable improvement over the undefined circles that appear on the maps of Hevelius or Riccioli. Hooke further suggested that since the floor of Hipparchus reflected less light than the mountain tops, perhaps it was covered with vegetation and might be, in his words, a "fruitful place".